We are pleased to offer the Cel-Fi (Nextivity) Quatra Smart Signal Booster to our line of supported products for enterprise indoor coverage solutions. Cel-Fi QUATRA is a scalable in-building cellular system, that enables operators to rapidly deliver the best quality signal at the most cost efficient and easy-to-deploy method. Cel-Fi combines the best of technology from active DAS and Smart Boosters; by distributing RF over Ethernet (RFoE) and operates in a Distributed Small Cell or Off-Air mode. The product is scalable for small to mid-size enterprise and able to deliver the best quality signal for venues up to 200,000 Sq. Ft.
BroadbandSoHo remains at the forefront of choosing the best cost effective carrier-grade wireless solutions for our consumer customers. With our experience in this field of signal boosters, we have seen the good, and bad effects of these units. Nextivity stands out due to their “Smart Signal” RF (Radio Frequency) processor in each of the products they offer. Without getting to technical the processor, takes on the ability to work like the processor in your cellphone, meaning it keeps a basic two-way communication link with several unique parameters that prevent the unit from creating any interference back to the carrier network, and offer up to 100% gain for the serving coverage area. No other signal booster / cellular repeater offers these features, which has given Nextivity products the unique acceptance among the top carriers worldwide to be used on there networks. Listed below we will answer the most common questions as you the consumer send to us, and explain how this system may benefit your enterprise business. What applications can the Cel-Fi Quatra be used for ? The Cel-Fi Quatra system can be used for various property applications that require better RF coverage, and capacity. The system can be deployed in various configurations to to meet the indoor cellular coverage needs of mid-size and large building environments (up to 200,000 sq. ft.) This can be a large warehouse, single story, or multi-level office environment. The Cel-Fi Quatra can also be installed to offer consistent cellular service in residential MDU / MTU properties as a supplemental amenity to renters. This same amenity can be extended to vacation properties with guest requiring reliable Wi-Fi / cellular service. What benefits does the Cel-Fi Quatra have when compared to Cellular Repeaters, or Small Cell ? What does the Cel-Fi Quatra Networked DAS installation consist of ? 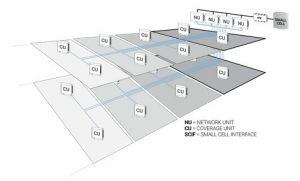 As you can see after watching the product video the Cel-Fi Quatra Networked system is comprised of a Network Unit (NU), which contains the antennas that receive the donor cellular signal; and the Coverage Unit (CU), which contains actively powered antennas that transmit the cellular signal throughout the venue to users. It can be deployed in several configurations becoming a complete active ethernet DAS (Distributed Antenna System) creating a “Super Cell” when connected to a carrier Small Cell for donor service. What does the Cel-Fi Quatra consist of ? Which system configuration should I choose ? Listed below are the two main deployment configurations, but there are unique sub-configurations within each one depending on the coverage area, and possible carrier requirements for user capacity. BroadbandSoHo will work with you to create the best system configuration for your business indoor coverage to complete system installation with integration of service. Off-air: Cel-Fi QUATRA can be installed off-air using a macro donor signal from a wireless service provider. The NU, which brings in the off-air donor signal, is connected to up to four CUs that are distributed throughout areas where better cellular coverage is needed. The NU and CUs operate in a coordinated manner to amplify the off-air signal and provide high-quality in-building wireless connectivity covering up to 50,000 sq. ft. per system. Tethered to a small cell: Up to four Cel-Fi QUATRA systems can be tethered to a small cell to deliver both increased capacity and greater coverage, and to service more concurrent users. This Boosted Supercell® configuration can deliver coverage to an entire building up to 200,000 sq. ft. It provides a carrier-class, intelligent, and fully integrated HetNet enterprise solution for high-quality in-building wireless capacity and coverage. We have already received high price quotes for DAS installation, why should we choose the Cel-Fi Quatra Networked DAS solution ? Unlike typical DAS systems that can require between 12 and 24 months for deployment from start to finish, Cel-Fi QUATRA can be ordered, delivered, installed, and operational in a matter of weeks—and at a lower installed cost per sq. ft. Cel-Fi QUATRA achieves this by eliminating much of the complexity associated with delivering in-building coverage. We specialize in the installation of Enterprise (E-DAS), aka (RF Over Ethernet) rated multi-carrier distributed antenna systems. This market has been complicated for several years, but has gained considerable interest as more mobile data usage takes place indoors.